Established in 2001 as a no frills, no fuss low-cost airline. And with 58 daily flights, kulula keeps things fun while ensuring you get a full-on travel experience. As the champions of low-cost airlines, kulula has been awarded with numerous accolades through the years for both business and leisure travel service excellence. The latest fleet additions; state of the art Boeing 737-800’s, are custom made to ensure passengers always feel comfortable with enough legroom for regular travellers. Kulula loves to fly and if they can make you smile while doing it, then all the better. Kulula is all about simplicity, no-frills, and taking it easy while at the same time delivering the best value to our customers. Whether you’re flying for business or leisure – they’ll get you there safely. All you have to do is make the memories, and they’ll take care of the rest! Kulula is also about amazing travel experiences, to make planning your trip as effortless and affordable as possible by offering competitively priced hotel accommodation and car hire. You can conveniently make bookings for your flight, car rental and hotel with kulula holidays all at once for a great deal. Kulula flies to and from East London Airport (ELS). Book your cheap flights to East London, Cape Town, Johannesburg, George and other exciting places! Popular flight routes with Kulula are from Cape Town to Johannesburg, Johannesburg to Durban, Johannesburg to Cape Town, Durban to Johannesburg and Durban to Cape Town. Luggage such as sports, musical or medical equipment may require special handling due to their size, shape or fragility. Best to call their Contact Centre 0861 KULULA (585852) to get the latest info when travelling with some of these items to avoid any inconvenience. kulula no longer accepts domestic pets and live animals at any of their check-in counters (excluding service dogs which are permitted for check-in and in the cabin). This new process provides a modernised animal-friendly environment for the acceptance and delivery of domestic pets and will ensure your furry (or scaly) friend reaches their destination safely and comfortably. Please visit kulula pet information for more info on travelling with your pets. Check in on-the-go using our kulula.mobi site or from kulula.com. For your convenience, you may check in online for your flight 24 hours prior to departure and print your own boarding pass from your home or office. Online and mobi check-in closes 2 hours prior to departure. kulula check-in counters at the airport open 90 minutes before domestic flights depart and close 45 minutes before the flight departs. If you're travelling with friends or family, to ensure you sit together, please do check-in 24 hours before flight departure. You can have the certainty of sitting together on the plane when you pre-pay and secure your favourite seat by selecting a pre-paid seat. This option is available at the time of making your booking or 24 hours before your flight departure. Seats may also be selected when you check in online, check in on-the-go (mobi check-in), arrive at the airport check-in counter or at airport kiosks at no charge. Check-in opens 24 hours prior to flight departure. Leave the treats and snacks to the experts and enjoy a variety of food options during your flight. All you have to do is bring your debit/credit card and the friendly cabin crew will take care of the rest! khuluma, the airline’s in-flight magazine, has all you need to keep everyone (including the young ones) entertained on the flight. From our celebrity guest editors’ opinions to interviews with up-and-coming South African artists, fantastic feature articles, events listings, fashion trends, hot travel tips and loads of competitions! kulula offers a network of flights to South Africa's most popular cities: Cape Town, Durbs, Jozi, George, PE and East London. To see more of the world, they've expanded your choice by offering British Airways (operated by Comair) destinations in South Africa as well as Africa and Mauritius. They also fly to Nairobi through our codeshare agreement with Kenya Airways. Most of their flights fly direct, saving you time and getting you to your destination faster. kulula.com offers full-on travel all the way. Book your car, pick your hotel and fly in kulula style to your destination. To top it all off, you can combine your travel in a nifty travel combo or take your pick from kulula’s holiday packages that take care of all your travel needs – and all you’d have to do is show up! We now operate a fleet of Boeing 737’s. 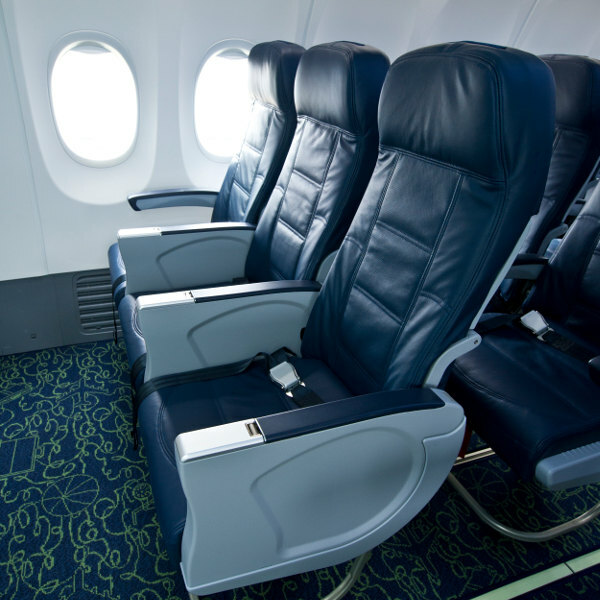 The 737-800 is not only more fuel efficient with more legroom, but also less harmful to the environment. In fact, these aeroplanes burn 26% less fuel than the MD82 airline fleet we previously operated. That is a load of carbon emissions we're saving, which ties in with our efforts to go green – 'cause we haven't quite cracked bio-fuel for airplanes yet! Not forgetting to mention our wacky paint schemes which make your flight experience with us uniquely memorable. Some of these include the ‘cow' plane, ‘camo' plane and the ‘flying 101 and 102' plane.